Another in the series of monarch butterflies overwintering near Angangueo, Mexico. 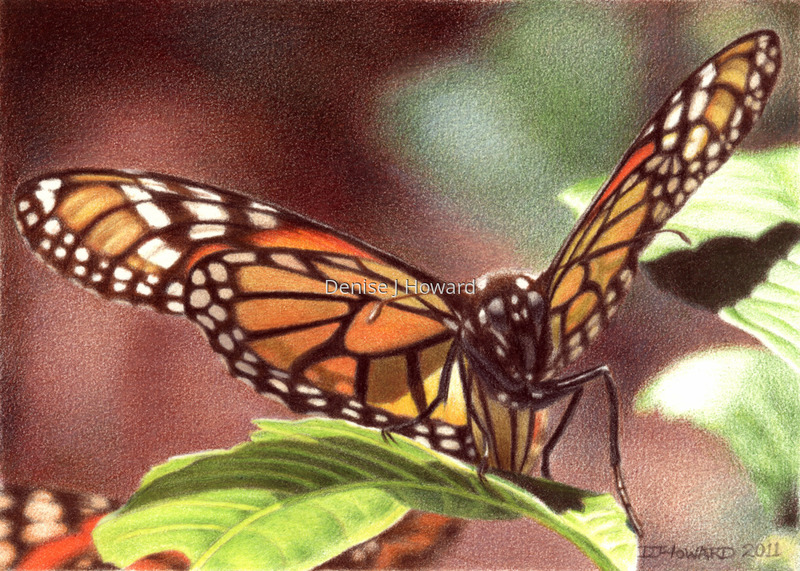 I was captivated by the glow of sunlight passing through its wings and the leaf it rested on. Colored pencil on Stonehenge paper. People's Choice Award, San Diego County Fair, 2011. Exhibited in UArt Open, Sacramento, CA, 2011. Included in "CP Treasures" from Ann Kullberg, 2012.